Leafy Bromley offers family-friendly living and great commuter access. Rentify can help you make the most of your letting with our handy borough guide. At Rentify we have property specialists dedicated to Bromley, armed with local expertise and unmatched valuation knowledge to find you the right tenants. 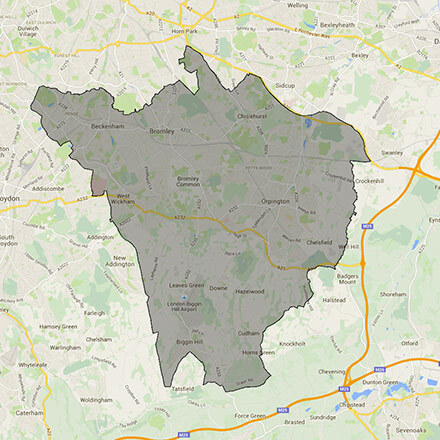 Bromley is the largest of the London boroughs by area, with a diverse range of districts. More urban districts such as Penge and Crystal Palace can be found in the northern half of the borough, contrasting with its leafier, affluent counterparts such as Orpington and Biggin Hill in the south. One of London’s most popular green spaces, Crystal Palace Park, is situated in Bromley. Home to the National Sports Centre, a fishing lake and a selection of life-size model dinosaurs, the park is very popular with local families. National rail services across the borough offer commuter access to Cannon Street, Charing Cross, Waterloo and London Bridge stations. Several of the northern districts now also connect to the Overground network. Around 42% of Bromley housing stock comprises of flats, followed by semi-detached houses at 26%. Property styles range from grand period buildings to modern new build accommodation. Bromley's many districts each have their own character, catering to a variety of residents. Here's our top picks for new landlords in the area. This borough covers the BR1, BR2, BR3, BR4, BR5, BR6, BR7, BR8, CR6, DA14, SE19, SE20, SE26 and SE9 postcodes. Rentify uses proprietary methodology for data collection and processing. Borough data is collected from Rentify's property database and external public sources.